1 red wedding | This Blog Rules | Why go elsewhere? With high death levels on “Game of Thrones”, it’s no wonder their cast list is huge. All the deaths in the past five seasons had to be replaced by new characters and new actors. This easily leads to a game of “I know this character from…” during every “Game of Thrones” episode. Cersei Lannister, Ned Stark, and Littlefinger are just a few of the characters whom we’ve recognized from other noteworthy stages. 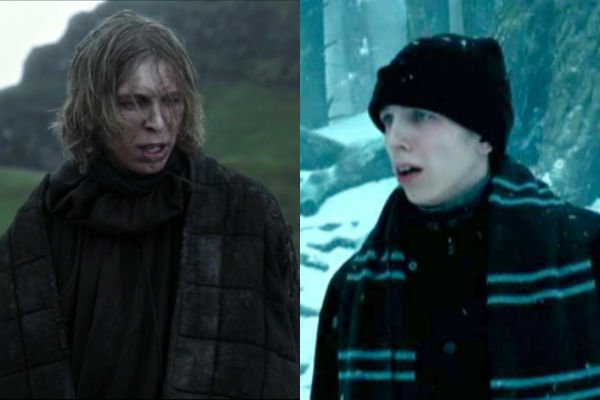 So you won’t be surprised at the following list of 7 Game of Thrones actors who were also in Harry Potter. If you haven’t identified them by now, prepare to be amazed at the discovery that Aberforth Dumbledore was the king beyond the Wall. 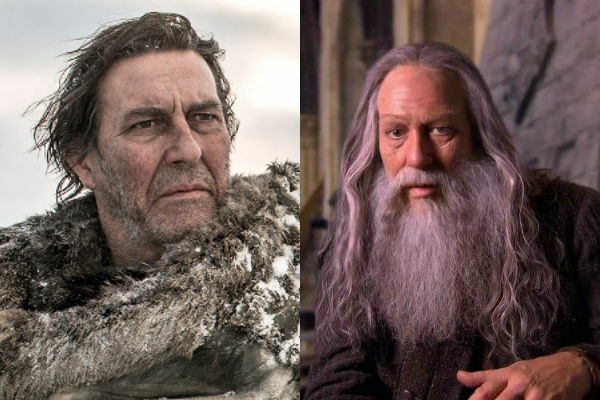 You’ll know him as the leader of the wildings, the King beyond the Wall or simply Mance Rayder. It’s harder to spot him in “Harry Potter” because he was a) kinda overlooked and b) kinda in disguise. He played Dumbledore’s brother in “Death Hollows part 2”. Hinds seems very well suited to play noble parts, but he’ll remain forever remembered as the leader of the free folk. If you don’t recognize the character from the Game of Thrones series, you’re not a real fan, and your punishment should be reading the books and watching the TV show again. Webb played Will, a brother from the Night Watch, who got beheaded by Ned Stark. Following the same pattern, he also played a coward character on Harry Potter, a Slytherin Boy who is Malfoy’s best pal and together they occasionally mock Harry. No one can be blamed for not guessing this one. 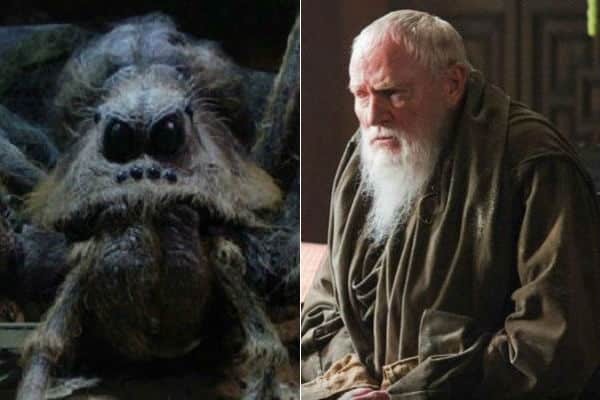 But if you started watching Game of Thrones and found Maester Pycelle’s voice quite familiar, it is because Glover borrowed his voice for the giant spider in Harry Potter, Aragog. Pycelle was not as terrifying as Aragog, but an ingratiating old man who only swayed with the wind. As a former basketball player, Whyte performed as a stuntman in “Alien vs Predator”, followed by the “Goblet of Fire”. You may wonder what he did in Harry Potter. He filled in for Frances de la Tour whenever full body shots for Madame Maxine were needed. As the headmistress of Beauxbatons Academy, the Harry Potter character had to impress with her tall slender figure. We got to see more of him on Game of Thrones. 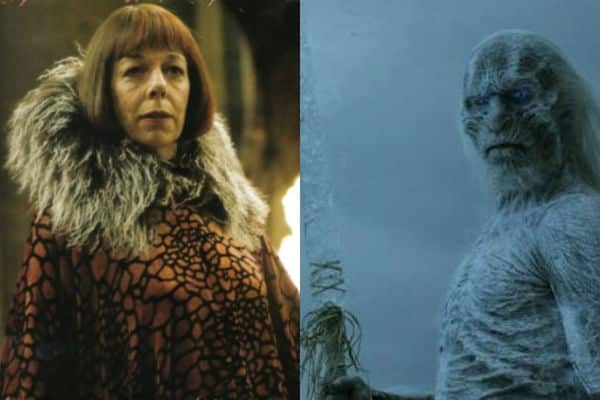 He played the role of a White Walker in the first two seasons and even replaced Conan Stevens, who played Gregor Clegane, in certain scenes. 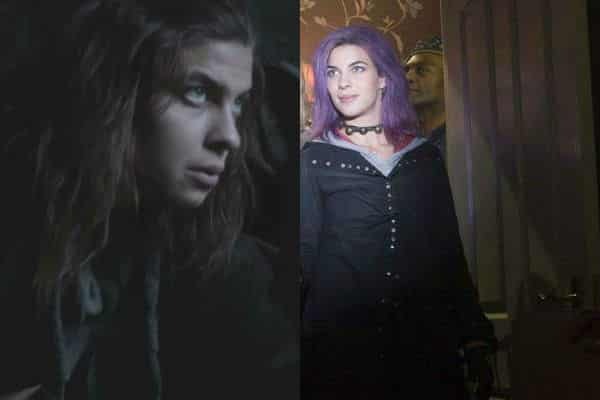 There are quite a few similarities between the characters Natalia Tena played in Game of Thrones (Osha) and Harry Potter (Tonks). She played sympathetic, brave women who were both best known by just one name. Osha was a wildling who cared deeply for the Stark little brothers Rickon and Bran. Although nothing compels her to do so, she helps Rickon to reach House Umber safely. Tonks had a bubblier personality but was equally good natured and always ready to help. We’re all rooting for Fairley to return on Game of Thrones. She was one of the strongest characters, even when her husband was murdered, which left her in charge of all their children. 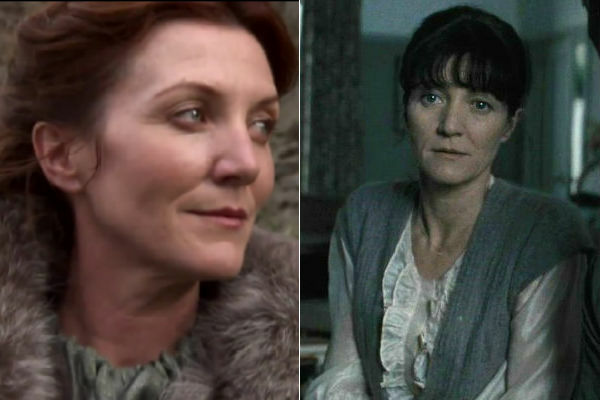 She also played a mother’s role in “Death Hallows Part 1”, as Hermione’s mom. Her memory was wiped in Harry Potter, but not even death erased her past in Game of Thrones. Bradley’s characters are both deplorable. Walder Frey from Game of Thrones is conniving and probably the most despised character on the TV show. No one will ever forget he was behind the Red Wedding. 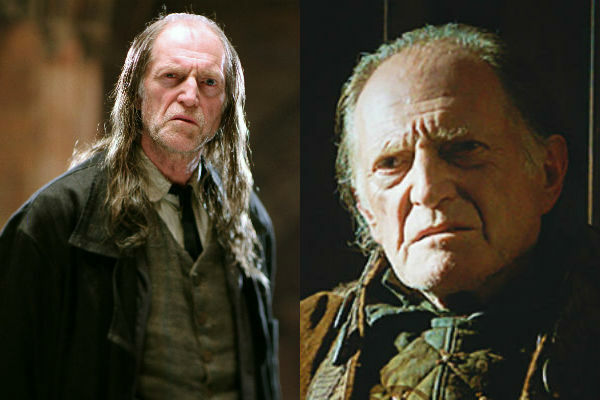 Argus Filch from Harry Potter might only be a squib, but he is equally disliked, just like Frey.